The custom homes we build are a testament to quality homes and our experience in construction and design. Particular attention is given to details others often overlook. “A commitment to quality homes,” is the basis for all our work. Building primarily in Davis and Weber Counties, we specialize in move up custom homes. 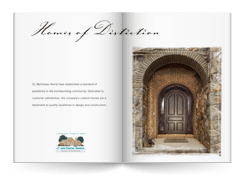 Our entire building philosophy is centered on personal service and open communication between the builder, his building staff, and the homebuyers. To ensure customer satisfaction, every homebuyer goes through an extensive process of working with us to arrive at a mutually agreed upon bid. We take the home apart, piece by piece, spending hours with a client finding out what they want, matching the right products for their needs, and telling them what it will cost, before we ever turn a shovel. Therefore, there are no surprises at closing. There are only very satisfied homeowners. Through the years, Martineau Homes has been honored with many Parade of Homes outstanding awards, including “Best of Show.” Martineau Homes is especially proud of the “People’s Choice” awards for our 1992, 1996 and 2010 Parade of Homes entries. 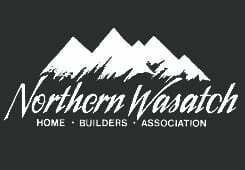 The Northern Wasatch Home Builders Association “Builder of the Year” award was presented to Chris in both 1989 and 1994. 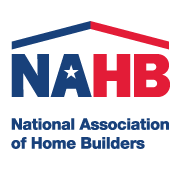 Martineau Homes has been an active member of the Home Builders Association since 1984. While we are proud of our credentials and reputation, we realize it is our total commitment to you, our valued customers, that truly measures success. Whether you have your own plan or have an idea we can help shape, you as the homeowner, are assured of our commitment to quality homes. I sincerely hope you experience the excitement and the satisfaction of living in one of our homes very soon.